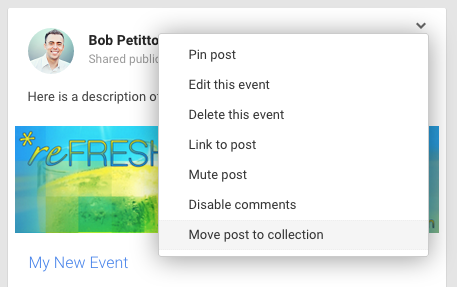 Several weeks ago, Google+ rolled out a new feature known as Collections--a way for you to group Google+ posts by topic. 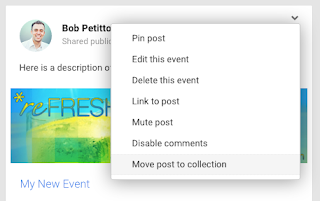 At first, I thought it was going to be Google's answer to Pinterest, namely, a way to "pin" posts that you come across on Google+ to collections that you create. 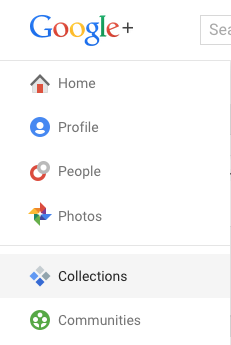 Turns out, Google+ Collections will only let you group YOUR posts...so, a little less useful than I originally had anticipated. 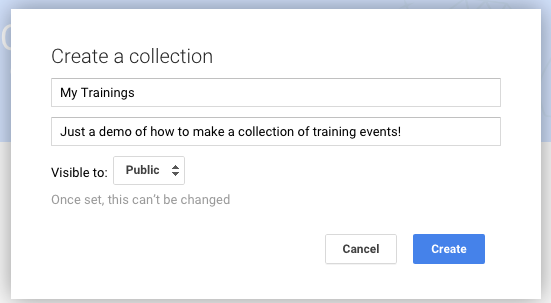 One way I leveraged Collections recently is by grouping my summer training events. 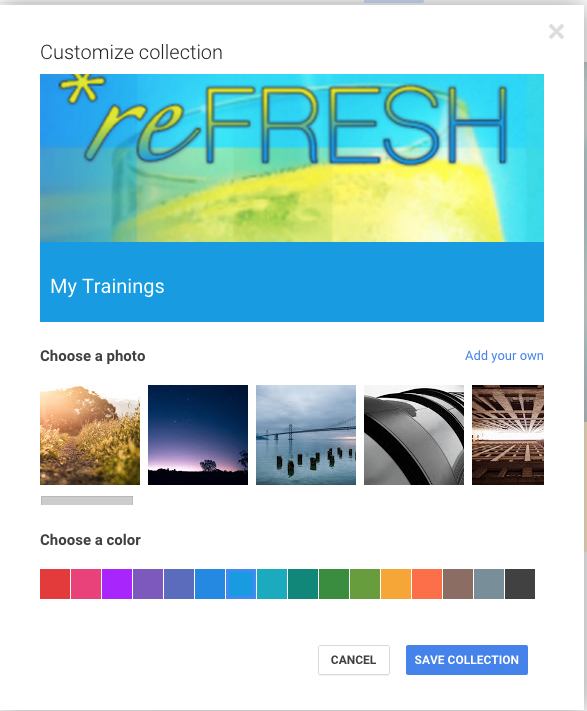 This way, teachers can go to the collection and easily browse and RSVP to my *reFRESH trainings. 1.) 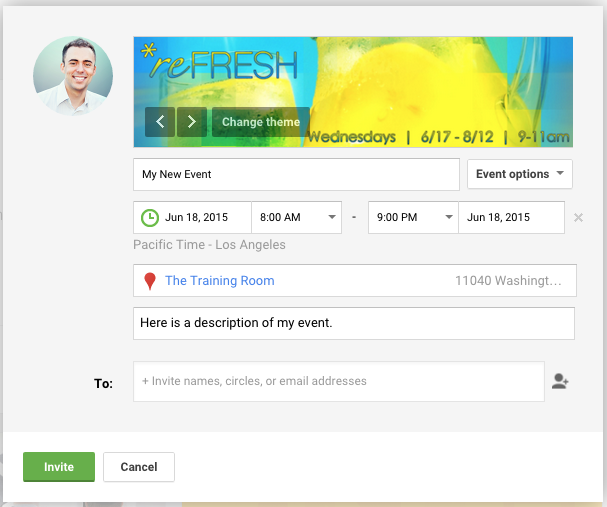 Create the first event. Give it a custom theme. 2.) 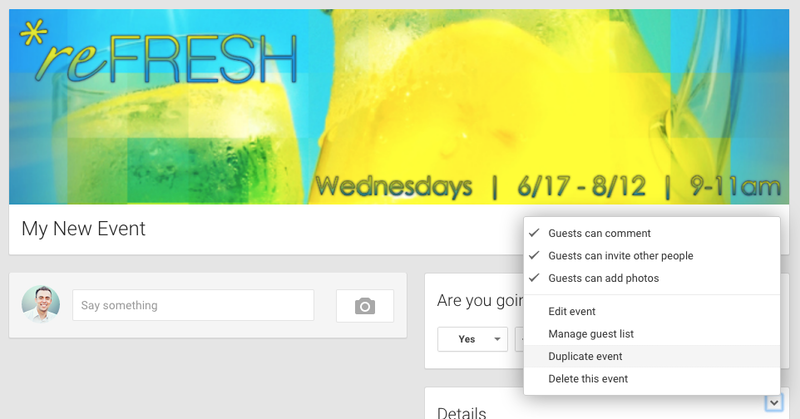 Duplicate the event. Change the Title, Description, and Date. 3.) Repeat Steps 1 & 2 until all events have been created. 4.) Go to Collections. 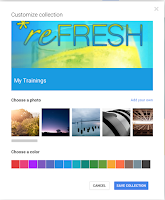 Create a new collection and give it a custom theme. 5.) 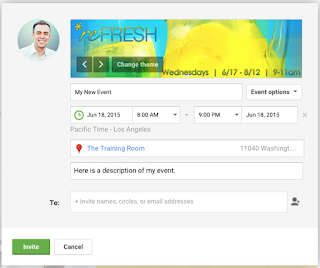 Go to your profile page and look for your Google+ Events posts. Add each one to your Collection in the order in which you want them to appear within the collection. 6.) Share the link to your Collection! 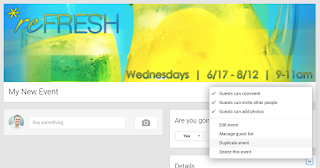 If you have a cool idea for leveraging Collections, tell me about it! 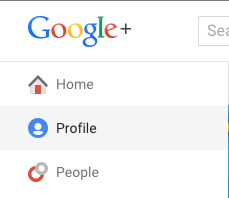 Leave a comment below or message me on Twitter (@rpetitto) or Google+ (+BobPetitto).